Eating disorders. Sexual abuse. Marital infidelity. Rebellious children. Addiction. Abortion. Suicide. Sin and brokenness are very creative, and it can be very difficult to know how to begin thinking about some of the diverse challenges we face, or help others to face. As a pastor, I believe firmly that the gospel of Jesus is powerful enough to deal with the sin, rebellion, brokenness, and injustice of this fallen world. But what precisely does the gospel have to do with the challenges of being a single parent? How does it speak to me in my addiction, or help my step-child cope with the difficulties of a blended family? That’s why I’m thankful for the gospel-centered guidance supplied by CCEF’s minibook series. 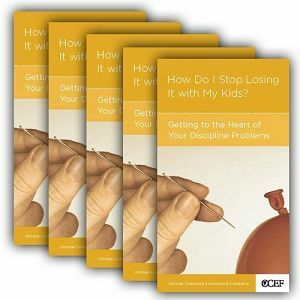 The good people at the Christian Counseling and Education Foundation (CCEF) have crafted these minibooks to be brief and accessible without sacrificing a gospel-centered framework. They touch on a growing number of subjects (follow the link here for a full list), offering the wisdom of folks like David Powlison, Paul Tripp, Ed Welch, Tim Lane, and Winston Smith. They obviously don’t exhaust any particular subject, but supply a good introduction to the dynamics of a particular issue and then take us gently by shoulders to point us in the right direction as we move forward. I have come across few tools that are so finely tuned toward helping people apply the gospel of Jesus to the broad range of life’s troubles.